As you can see, the forms folder for this document library contains quite a number of forms pages! So what do they look like? 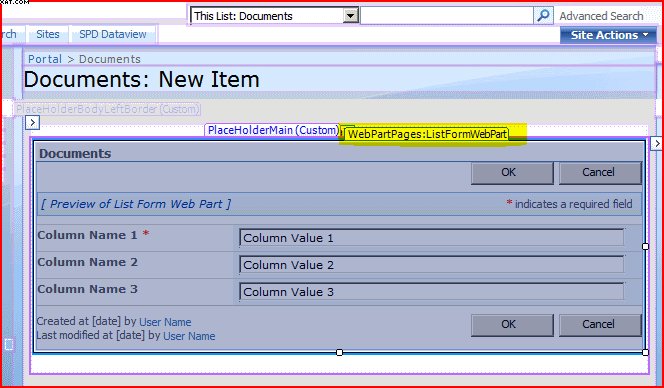 Looking in SharePoint Designer at the form page, we see a web part zone containing a web part – in this case the ListFormWebPart. So why is this interesting? Well, we could put our own web part here, should we wish to. For example, you might be recording longitude and latitude on a list item – but that isn’t very intuitive. Instead, we could write a web part to display a map, and use that to update the list item. In short, they’re not pages I’d expect to edit often – but there is quite a lot you can do with them!